I was sewing, fast and furious, before we left for Europe–or really, before the girls left for Europe. I realized that many of the clothes they own are not really up to par as “nice” clothes. We get a lot of hand-me-downs and we are hard on clothes (living in the country and all), so they had a lot of cheap clothes, tees with logos, and lots of stained clothing. They did have some nicer clothes and dresses, and these were in large part clothes that my mother gave them or clothes that I made them. 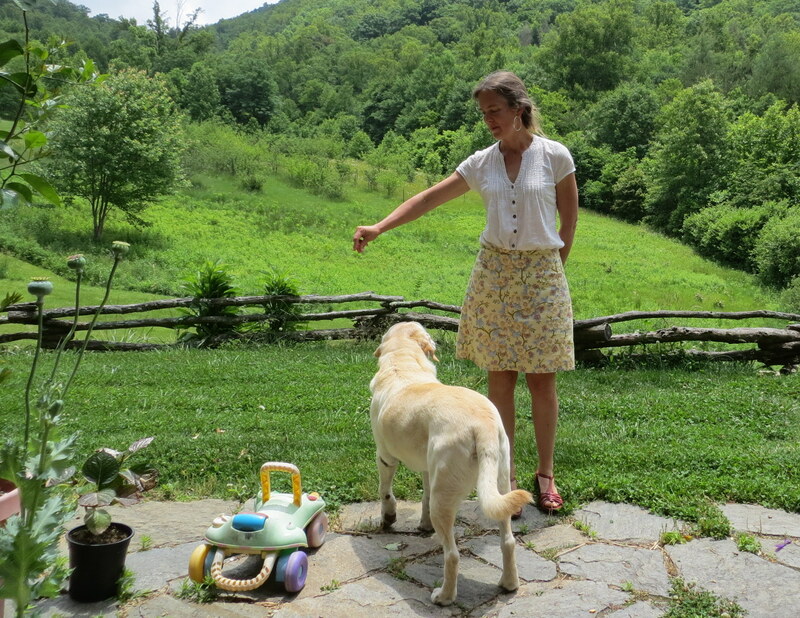 I whipped out a pink tee-shirt for Evva (made with organic cotton knit) and a pair of gathered waist kaki shorts for Anne, which I was in such a rush to make, I did not realize until yesterday that I sewed the pockets in wrong. Oh, well. I used their own clothes to as a base for the patterns, and I did some improv sewing to get them to work. I made these simple, basic garments because I thought it would probably be quicker and easier than loading up all the children for the 2 hours it would take to go to Target and buy them. Quicker, it may not have been. More enjoyable, and cheaper (while being better quality) – yes! 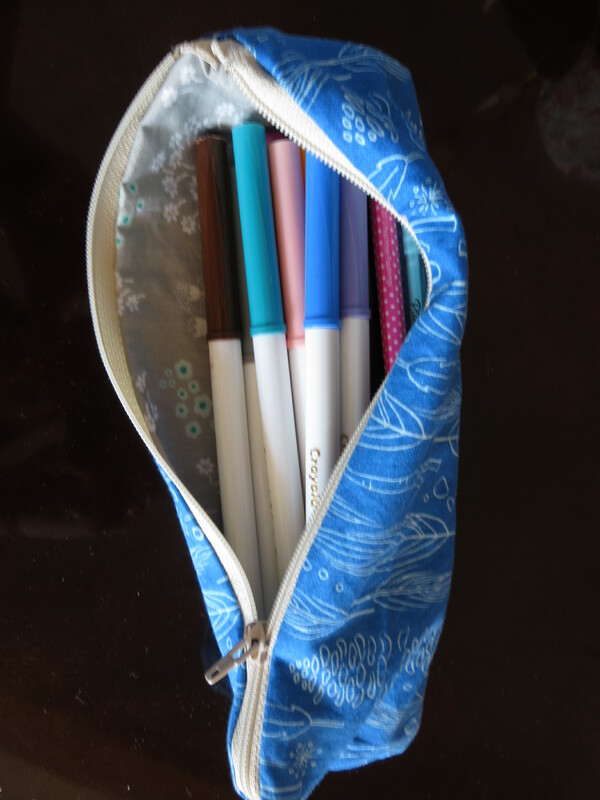 I also really wanted the girls to have a pencil pouch to carry their pencils and markers that I knew they would be using to journal and color on their trip. I cut out the fabrics and bought the zippers on my way out of town. I sewed them up in about 20 minutes at my grandmother’s house in Elizabeth City. I got to use her nice Bernina which had not been sewn on in 5 years. It is a great machine, but more complicated and sensitive than mine. At one point I somehow changed the stitching to only go backwards, so I sewed up one pouch that way before I accidentally nudged another knob and the stitching went back to forward stitching. 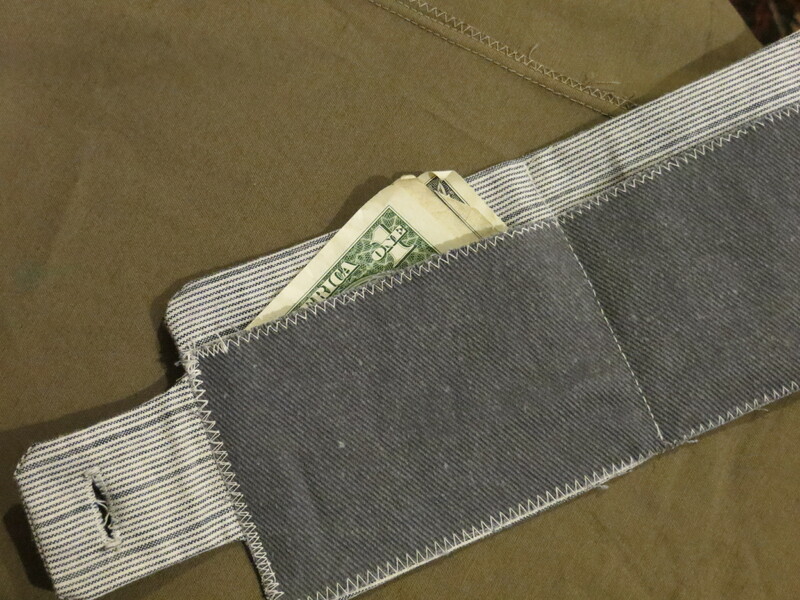 I also made up a little wallet for Hythe who was begging for one to put his money in. Not sure he will use it, but it is cute, and was simple, and used up fabric scraps–just about a win-win. I made myself a little skirt from a New Look pattern I bought when I was in college, and cut up an old dress I haven’t worn in 10 years, but loved the fabric so never got rid of it. And, I sewed together a pile of napkins for a cousin’s fiance. 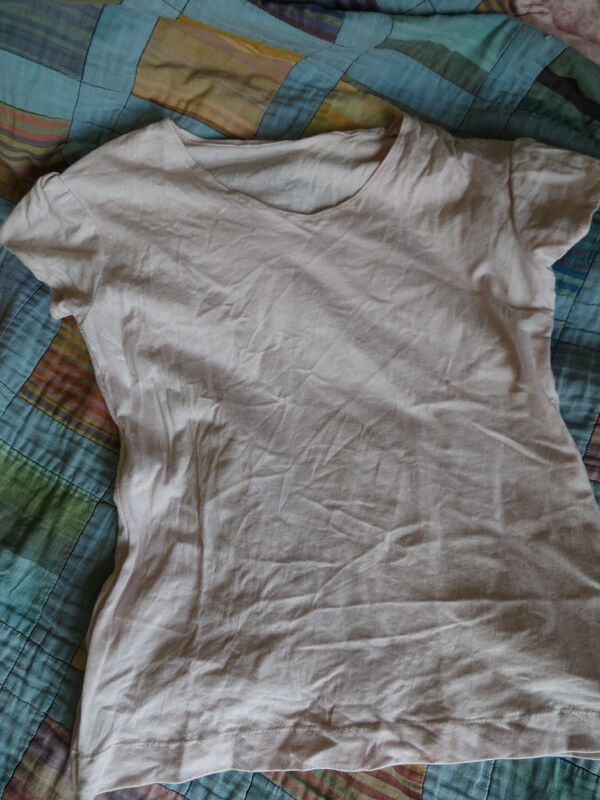 They were her wedding shower present–all women who came brought a scrap of fabric, wrote a blessing on the muslin backing, and I sewed them all together. 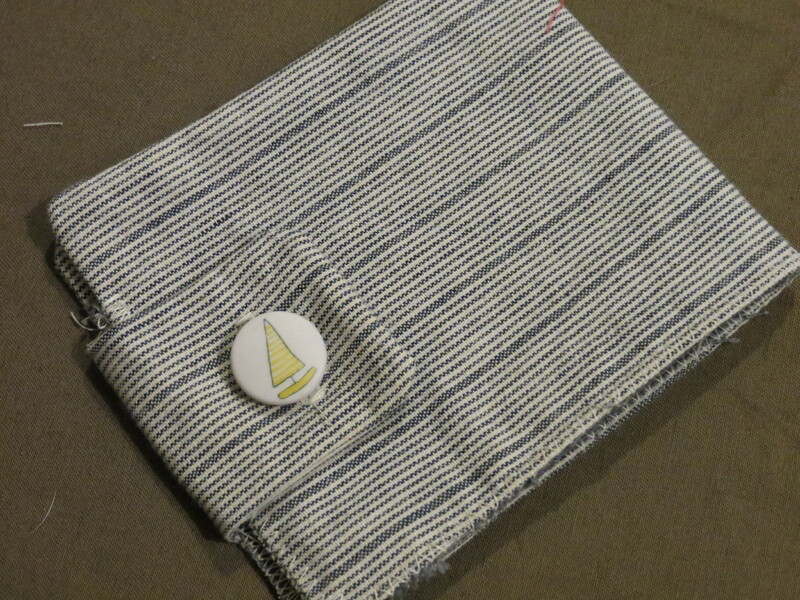 A bit of a hodge-podge, but I think it is really sweet and fun (and you really can’t have too many cloth napkins). Since I have been back, I haven’t been sewing, but I have been thinking of what I want to sew next. I got out a beautiful vintage Vogue pattern from my grandmother’s collection, thinking I would make it to wear at weddings and other events this summer. But after reading the instructions, I realized I did not have enough time to make a muslin and a dress in time to wear this summer. Plus, I have other things I want to sew, such as presents for the wedding couples and uniform bottoms for the girls new school. I found another, simpler pattern from the 70s or 80s and nearly finished the muslin last night. I am looking forward to my new, bigger, sewing projects. I talked to Jeff and he is going to meet me tomorrow to look at the logs so we can get them out and get them milled so we can build your sewing room! 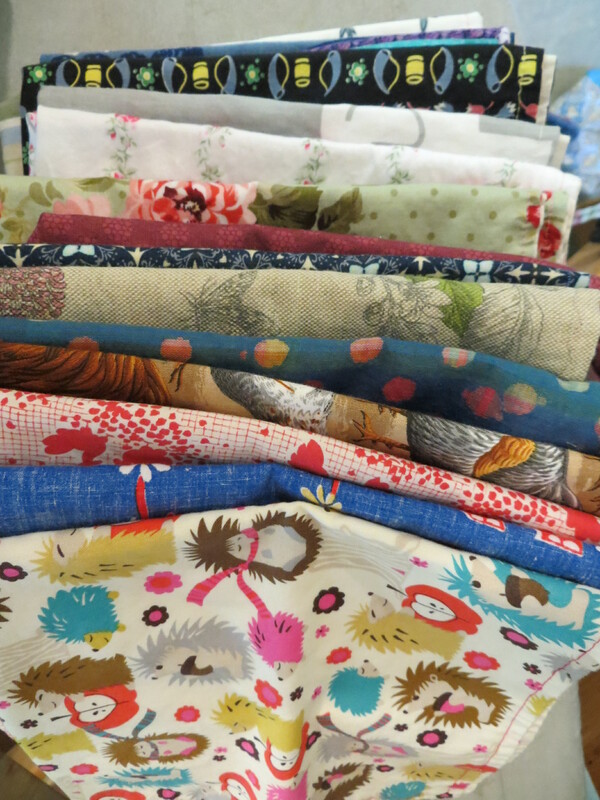 I love hearing about your sewing projects. And your girls were quite well dressed in France! !, I live that you are so on ovative with patterns. I always followed step,by step except I did not sew any muslin first dresses. I think mother did. I will see you the week of camp!